"Horsetail Ranch is an oasis of peace and serenity among 148 acres of rolling hills, stunning views and breathtaking sunsets. 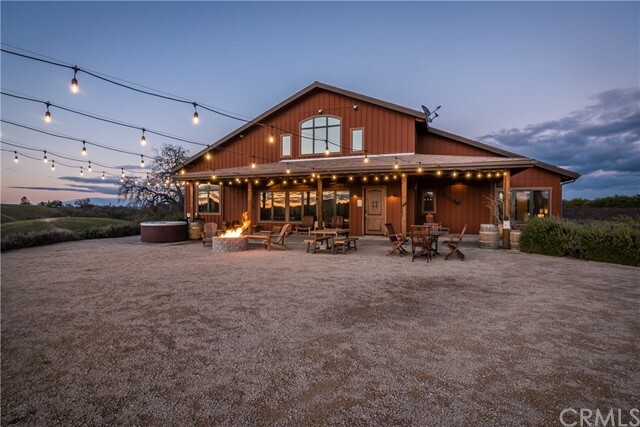 The ranch consists of multiple residences, structures, a charming 10 stall barn and year round pond perfect for hosting events and entertaining. The property has approx. 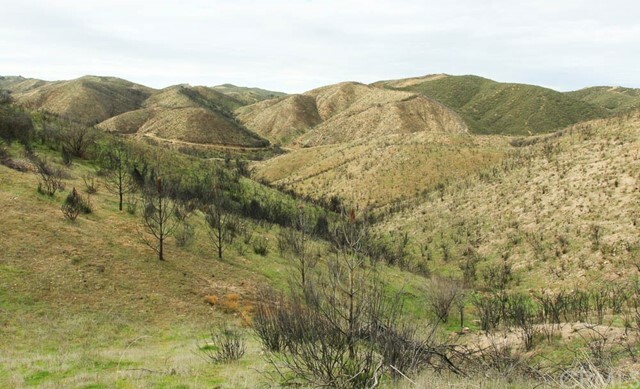 40 gently rolling acres suitable for wine grapes and olives and 20 flat acres along frontage road suitable for various agriculture pursuits. 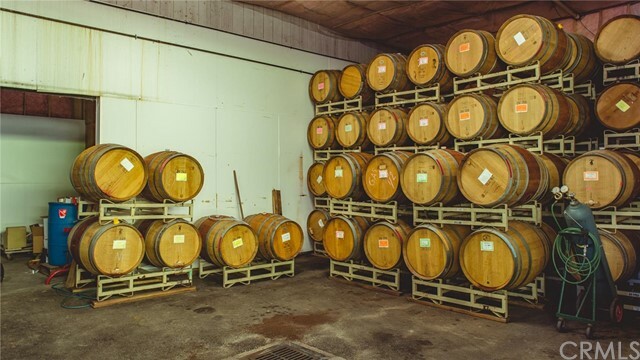 Horsetail Ranch is positioned for multiple uses:"
"Estate winery in Creston! Neighboring Ancient Peaks and Oreana. Gorgeous 60 acres offers 10 acres of Non-GMO Cabernet and Syrah vines planted since 1996 plus additional 16 acres of ripped land. Original planting consulted with Kenneth Volk. Producing multiple award winning wines since 2002. Label and license not included. Growing at 2200 elevation, consistent breeze prevents mildew on grapes and maintains temperature. Sheep graze vineyard for non chemical weed control. All equipm"
"Note big price reduction! This property is country getaway with a beautiful home in the center of the property with views in every direction. 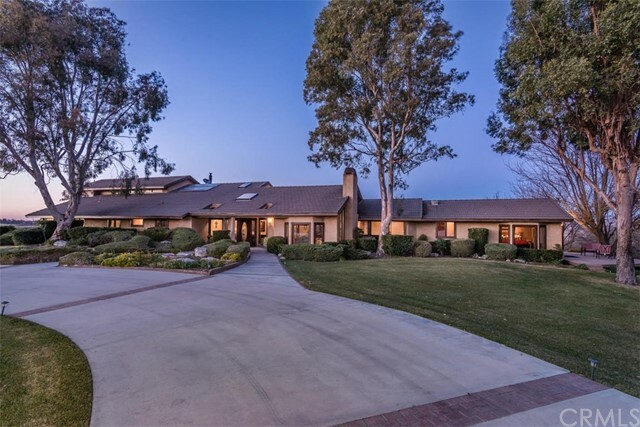 The well appointed home overlooks rolling grassland, chaparral and scattered trees. Water well produces up to 50 gpm and outside of Paso Robles water basin. Fenced on two sides and an interior fencing. Rolling ground could be used for crops, livestock, horses and wildlife. Deer, pigs, quail and rabbits habitat the property. Trails and ranch roads are in pl"
"Step into the safety of this gated community as well as the excitement of this custom home. This Creston Hills Estate is nestled on 20.6 hilltop acres with panoramic views. The home boasts 4,400 sq. ft. of living space and offers 6 bedrooms, 3.5 bathrooms, and a chef s gourmet kitchen. Additional amenities include cathedral ceilings, tile and handsome hardwood floors sunken living room, a game room, 2 Fireplaces, French doors, private decks, large covered patio and"
"Beautiful sleek contemporary home built by its owner/architect with special care to detail and highest end products. 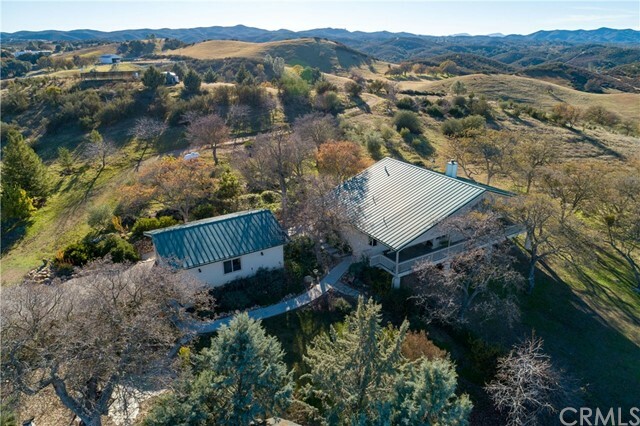 On 30 acres in the gated Creston Hills Ranch, the house itself is hilltop situated offering panoramic views from many angles. The main house consists of a large living and dining room combo, with custom kitchen, then Master bedroom , walk in closet and two bathrooms in it's own wing. The floors are unstained cement throughout. 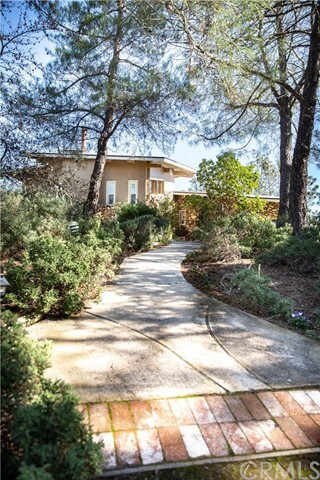 The lush tree covered lawn leads to the focal point, a"
"Amazing property with privacy, views and endless possibilities. This beautiful 45+/- acre ranch features a gated entry with paved road that leads you past a shared 2 acre pond to the end of the road location. Upon entering the property you ll notice how well planned out everything is. 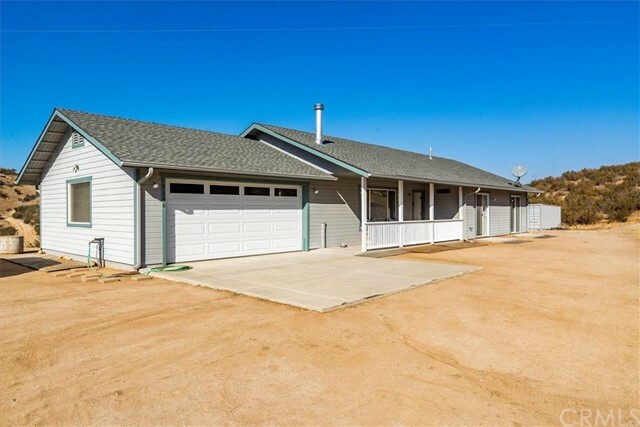 From the 3 bedroom 3 bath 1600 sqft main house with open floor plan, to the 1200 sqft 28 ft high Allied metal building with 6 slab and covered work area, to the 600 sqft studio with att"
"Nice 12 acre horse ranch near the town of Creston. 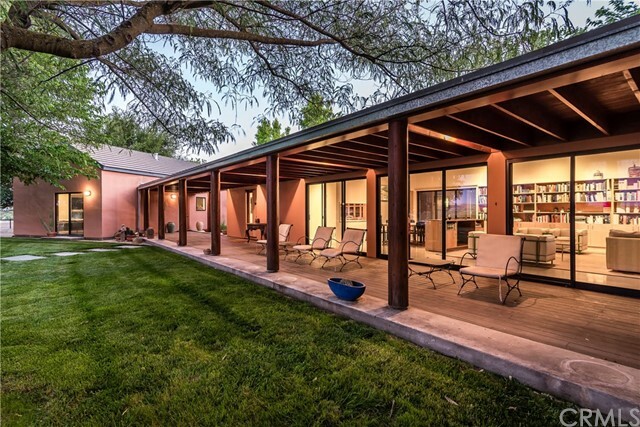 A 2475 sf ranch style home and a secondary pool or guest house. The main house has been up dated through out including a gourmet kitchen granite counters, maple cabinets, Fire places in the living room as well as the master bedroom. The house was built to enjoy the outdoors with french doors leading out to the lawn and garden areas. The house, pool and well are powered by solar systems. There is a shop building, with a tack room, work shop and s"
"Forty acres of useable, gentle rolling hills with a, distinctive style, 3,000 sq. ft. home located at the end of a long driveway. 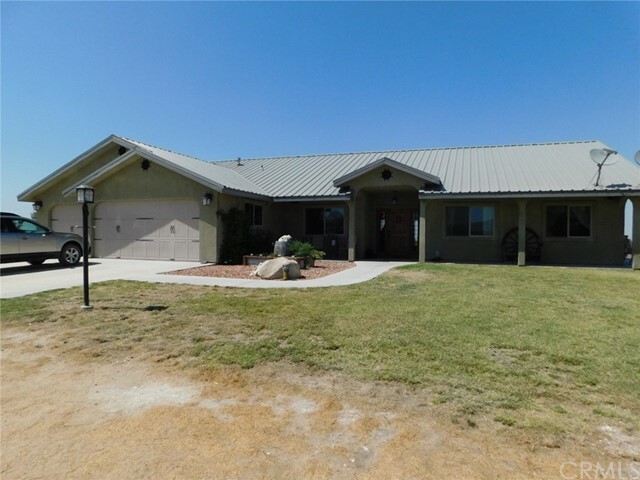 The home has 4 bedrooms and 2 1/2 baths with outdoor patios and sitting areas around the house. The original owners loved natural rock d cor so you will see extensive rock walls around the exterior base of the home. Two rock fireplaces in the living room and master bedroom and two wood stoves in another bedroom and den. The design of the home focused on sunligh"
"Approximately 175 acres in Creston! Immaculate three bedroom, two bathroom home was built in 2003. It was built with 2x6 framing and has vaulted ceilings and a wood burning stove. Inside, there are tile floors, central air conditioning and a separate laundry room. All bedrooms have a sliding glass door to the outside. The property features a horse corral and storage container. There is storage tank and second well which runs on portable power located at the back of ranch. 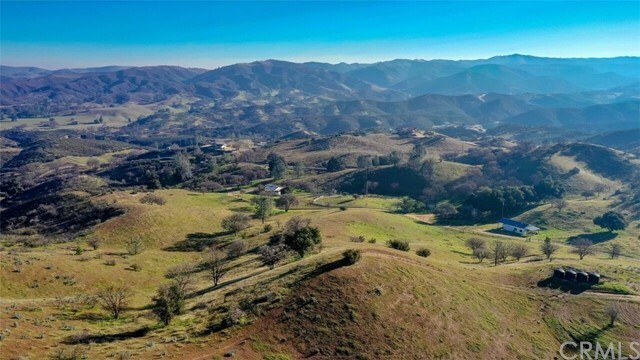 Great road system allow"
"THREE HOMES on your own 42 +/- acre ranch just 20 minutes from Highway 101 outside of beautiful Santa Margarita. This rolling parcel has terrific views and scattered oaks. The homes collectively total around 2,700 sq. ft. and have 6 bedrooms and 4 baths. Two of the homes rent out on a month to month basis for a total income of $2,700. The property has a nice shop with plenty of room for your projects and covered vehicle parking. RV hookup, great gardening and farming spaces. 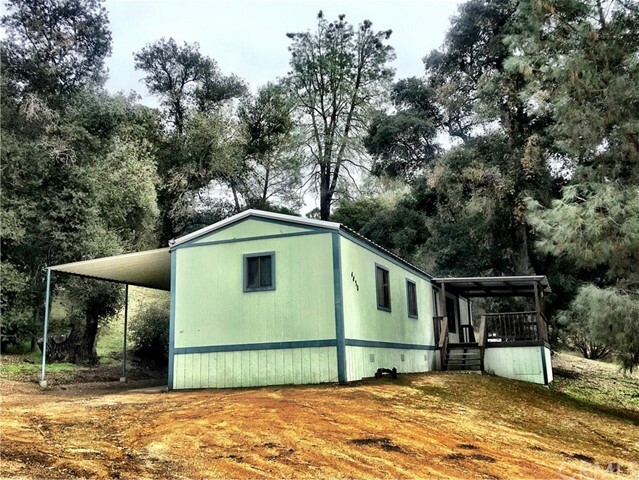 There are horse faci"
"GREAT 22.77 ACRE PARCEL, WITH A PERMITTED MOBILE & A WELL. BOTH HILLSIDE & FLAT, ALL WITH GREAT VIEWS. LIVE IN THE MOBILE, BUILD YOU DREAM HOME & THEN HAVE RENTAL INCOME. GREAT COVERED DECK. PLENTY OF ROOM FOR HORSES, HOBBIES & ALL YOU TOYS. SOME CLEANUP STILL NEEDS TO BE DONE. JUST 8 1/2 MILES FROM SANTA MARGARITA. PROPERTY EXTENDS TO EACH SIDE OF HWY, FOR FUTURE EXPANSION. There will be repairs taking place on the interior of the mobile over the next couple weeks!"